Philadelphia is the largest city in Pennsylvania and the fifth largest city in the United States. 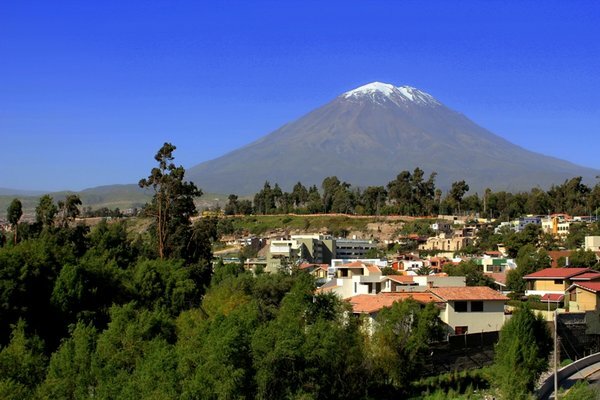 This renowned historical city is a popular tourist destination. It welcomes around 40 million visitors every year. Fondly known as the ‘City of Brotherly Love’, Philadelphia is a charmingly intimate city with all the rewards of modern life. 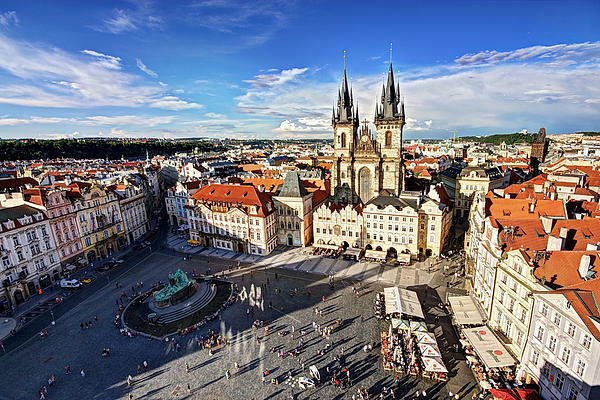 The modern towers and streets are located side by side with narrow cobblestone streets. Here are the ten places that you must visit when in Philadelphia. The Independence National Historical Park is the most historic square in America. It is considered the birthplace of the United States. It welcomes an approximate of 3.5 million visitors daily. The Independence Hall, the New Hall Military Museum, The Congress Hall, the Bishop White House and the Liberty Bell Center are some of the buildings that make up the Independence National Park. Here, you must visit the Assembly Room inside the Independence Hall, the location of the signing of the Declaration of Independence and the drafting of the constitution. The Liberty Bell is the star attraction of the place. The ‘rising chair’ is another popular attraction of this place. The chair was used by George Washington while presiding over the Constitutional Convention. You do not need tickets to visit the Liberty Bell, but tickets are necessary to tour the Independence Hall from first of March to 31 December. You can also reserve the ticket online. 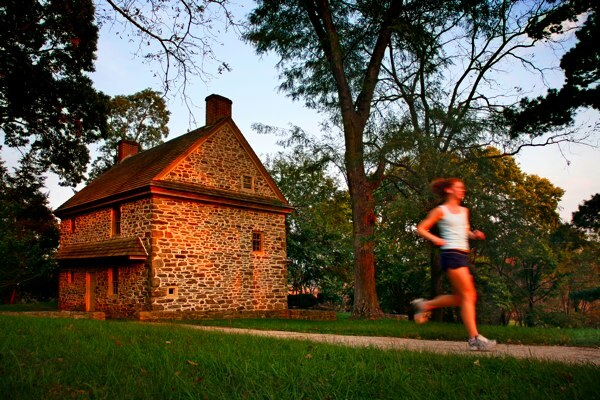 Valley Forge, with more than 3600 acres of trails and rolling hills, is a haven for runners, trekkers, and bicyclists. Of all the places associated with America’s War for Independence, no other conveys the sacrifice, suffering and triumph more than the Valley Forge. The place represents the army’s struggle for survival against hunger, disease and terrible odds. Though no battle was fought here, the six months in Valley Forge, with its rationed supplies and awful weather, were the roughest for the Army during the entire war. The mountains and buildings in this region evoke more than 225 years of American history. This gives the area a feel of the past, making it a favorite destination for the families. The Philadelphia Zoo is the most animal packed and laid out the zoo in the country. It is set in the stunning 42-acre Victorian garden with formal shrubbery, tree-lined walks, and animal sculpture. The Philadelphia Zoo is the first zoo to have been charted in the United States. It registered the first orangutan and chimp birth and was also the first zoo in the United States to exhibit white lions. The animals at Philadelphia Zoo are always on the move. 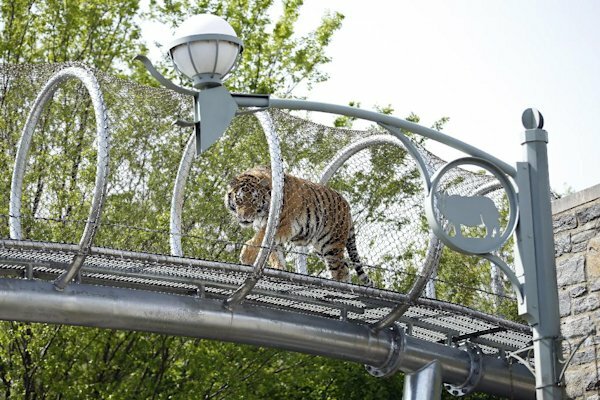 The zoo has introduced a new exploration trail Zoo360, a wide network of see through mesh trail, where you can see animals roaming around and above zoo grounds. 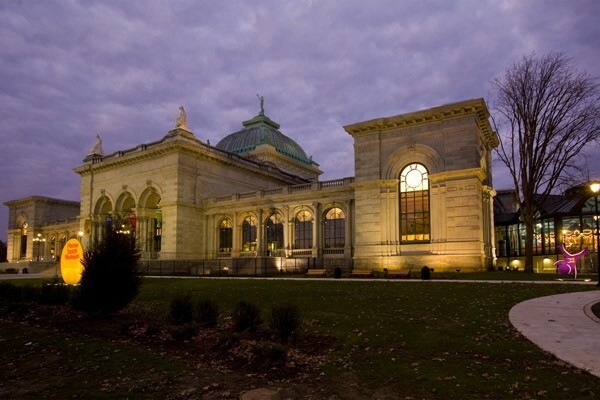 Besides the animals, the Philadelphia Zoo is also known for its historic architecture. It includes the country home of William Penn’s grandson. It also houses over 500 plant species and provides excellent veterinary facilities. 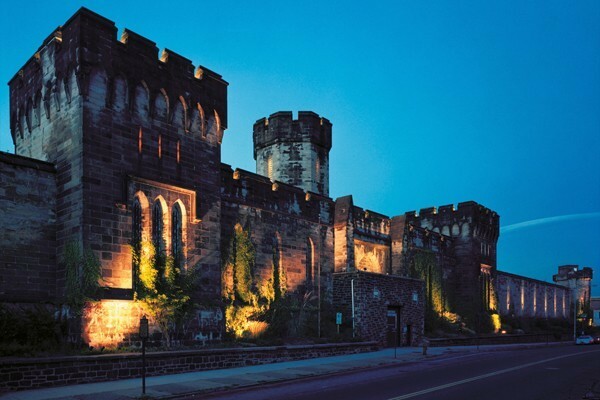 If you are on the lookout for spooky places to visit in Philadelphia, then you can give the Eastern State Penitentiary a thought. The Eastern State Penitentiary is a former American prison that was in operation from 1829 until 1971. It is a soaring Gothic castle with Gothic architecture. Notorious criminals like Al Capone and the bank robber Willie Sutton were held inside its wagon wheel design. It is a U.S. National Historic Landmark and is open to the public museum for tours seven days a week. The tours include a view of life in the prison cellblocks, stories of inmate escapes and art installation. 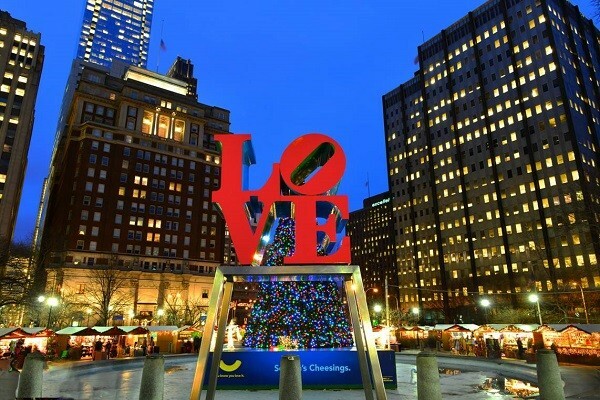 The Love Park is a plaza located in the Center City of Philadelphia. John F Kennedy gave the park its name due to the iconic statue of Robert Indiana installed here. It is a favorite destination for both locals and tourist. The park serves as the entrance to the Benjamin Franklin Parkway. Love Park also features the Fairmount Park Welcome Center and the Gift Shop. It is also a great spot to grab a bite to eat from the city’s top food trucks. Do not forget to take photos here. If you want to enjoy the vibrant colors and fragrance of spring, then you must head to the Longwood Gardens. It is a 400-acre conservatory with nearly 5000 orchids in creative arrangements and 11,000 different types of plants. Each season will bring a different pleasure. During summers, you will find magnolias and azaleas, in winter, you will find orchids, palms, and camellias, in summer you find rose and water lilies and in the fall, you will find chrysanthemum. You will encounter a new vista at every turn as the Flower Garden Walk, the Peirce’s Woods and the Italian Water Garden. There is also the gorgeous 86-acre Meadow Garden in the Longwood Garden. Keep an eye on the sky blue poppies that bloom heavily in March. 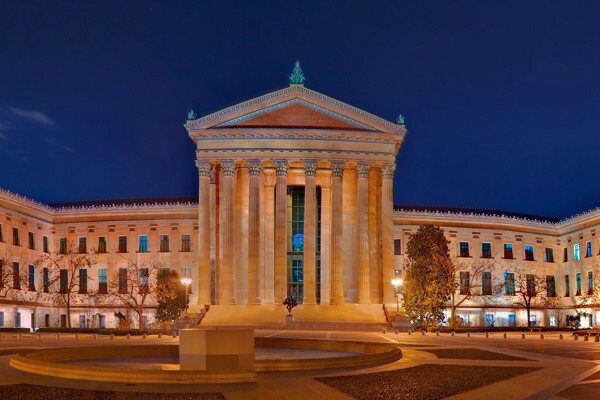 The Philadelphia Museum of Art, sit majestically at the end of the Benjamin Franklin Parkway. The vast collection of arts in this museum makes it the third-largest art museum in the country. Some of the most artistic museums include the great Rogier van der Weyden altarpiece, large Bathers by Cezanne and a room devoted to Thomas Eakins. Upstairs, you will find over 80 rooms, right from the medieval cloister to the Indian temples. The museum also features ‘Art After 5’ that features jazz and international musical concerts. The performance centers on jazz, but also features international musical sensations. The Franklin Institute, named after Benjamin Franklin, is one of the best science museums in the United States. Here you will get a literal look at the animal kingdom. 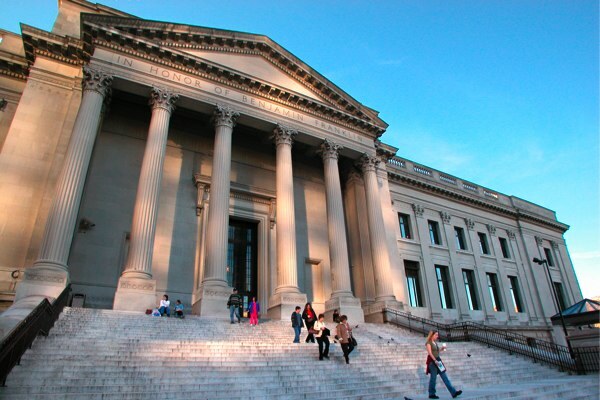 The Franklin Institute has several museums under one roof. The two major attractions of this place are the world’s largest artificial heart and a massive Baldwin 60000 steam locomotive. The Fels Planetarium of the Franklin Institute offers an array of programs that highlight the skies and the universe beyond. The section v Body Worlds: Animal Inside Out features a raw view of the anatomy of nature with more than 100 specimens of goats, ostriches, giraffe, giant squid, and sharks. The museum is also home to the IMAX Theater. If you are traveling Philadelphia with your kids, then make sure you visit the Adventure Aquarium. 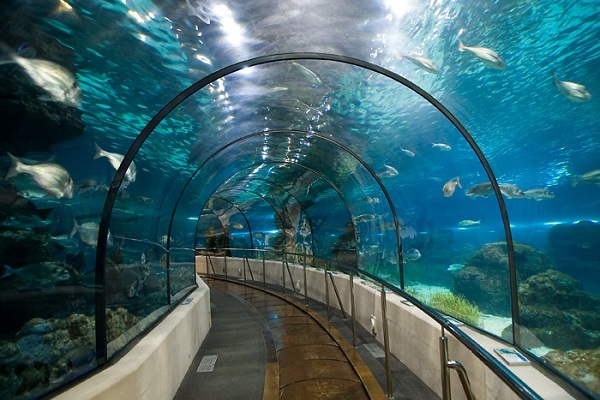 The Adventure Aquarium is the fifth largest aquarium in the United States. It is also the only museum to feature hippopotamuses. The Jules Verne Gallery of the aquarium will give you a look at the unusual creatures of the deep, including the giant Pacific octopus. You can also get your hand wet in many touching exhibits, which include sharks, grass shrimps, anemones, horseshoes, and stingrays. The Museum, as the name implies, is the first museum in the nation to target children aged seven and younger. It is housed in the Fairmont Park Memorial Hall. It encourages the inclination of children to learn through the active touching and doing. This kid-centric museum has two floors of interactive exhibit zones, along with a fully restored 100-year oil carousel. Your little ones can play amid Alice’s Wonderland, Roadside Attractions and River Adventures. Your kid will love the ‘Flight Fantasy’ with its realistic stimulation, where a real city bus beckons. The admission fee to the museum is $2. 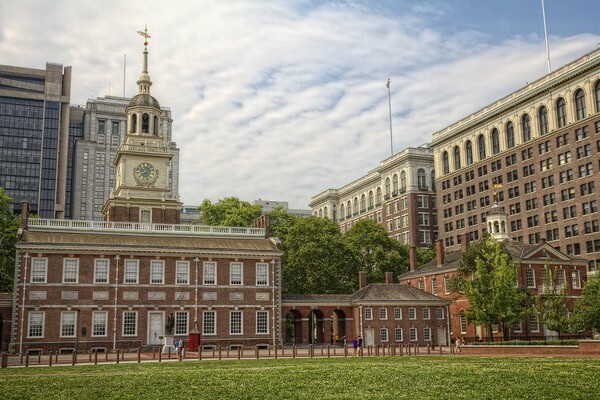 Whether you are planning your first trip to Philadelphia, or you are coming back here the tenth time, these attractions will surely make the most out of your trip. 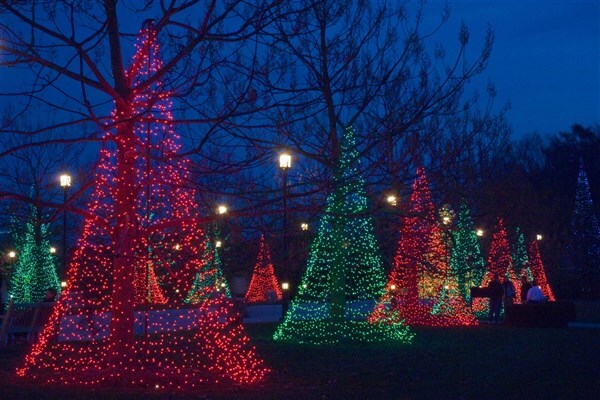 You can also buy Philadelphia Pass to visit 40 attractions free of charge. Have you ever visited Philadelphia? Can you recommend some places to visit to our readers? Then please leave a comment below.